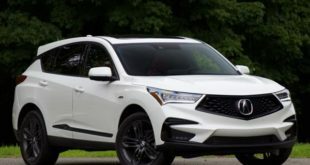 The latest reports indicate that the Acura manufacturer is expanding its MDX crossover SUV lineup with a sporty trim named the A-Spec Black trim. 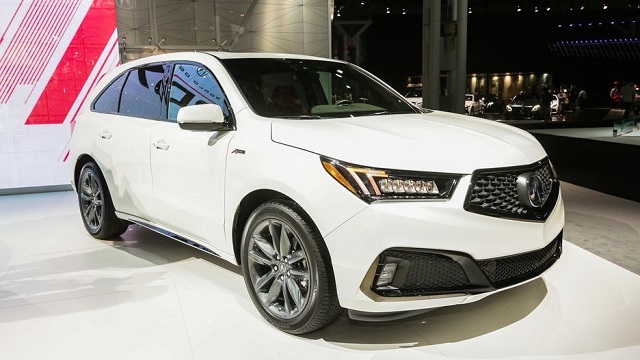 The newest 2019 Acura MDX A-Spec has made its premiere at the 2018 New York Auto Show and it is set the go on sale this summer. It will feature a more aggressive styling than the standard MDX and will get a sportier design of the interior. As the matter a fact, the whole design will be sportier compared to the standard version. And this new styling will probably make it more appealing to the younger buyers particularly. The brand-new MDX A-Spec will feature the same seating configuration and it is a three-row crossover which can carry up to seven passengers. It will offer the same engine options as the standard model including an efficient hybrid powertrain. 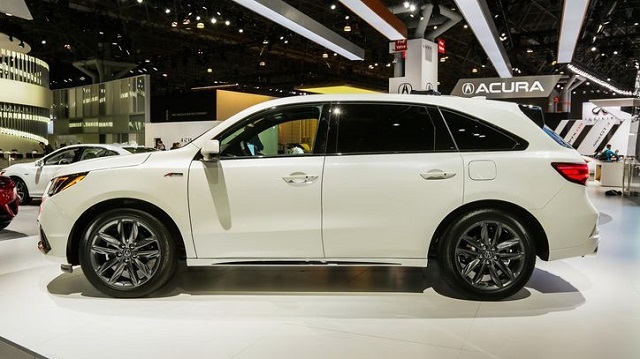 However, the standard MDX is available with front-wheel and optional all-wheel drive system while the A-Spec trim will offer an all-wheel drive system only. As for the safety, the new MDX will come standard with a host of latest systems. Visually, we will notice more dark chrome details and sporty elements. 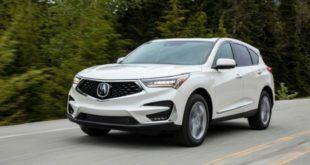 The 2019 Acura MDX A-Spec will be powered by two engine options. The base is a 3.5-liter V-6 engine which is able to make 290 horses and 267 pound-feet of torque. This engine is mated to a 9-speed automatic transmission. However, the A-Spec version will come with SH-AWD, Super Handling All-wheel drive system. Furthermore, there is also a hybrid engine which combines a 3.0-liter V-6 with electric motors. This unit has the output of 321 hp and 289 pound-feet of torque. As for the fuel economy, this powertrain gets 26 mpg in the city and 27 mpg on the highway. 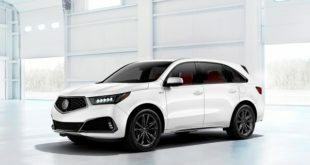 The 2019 Acura MDX A-Spec will represent the sportier version of the standard model. As well the A-Spec trim will feature more aggressive appearance. The whole body will get more dark chrome details and both front and rear fascias will be redesigned. The headlamps and taillights will be blacked-out and the side sills will be body colored. On the rear, we will notice a pair of larger exhaust pipes. Furthermore, the new Acura A-Spec will ride on the 20-inch gray-painted alloy wheels. 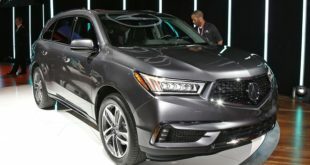 The cabin of the 2019 Acura MDX A-Spec will also be upgraded with some new details but it will come standard with a three-row seating configuration as before. The seats will be upholstered in either red or black leather with Alcantara inserts and contrast stitching. Furthermore, we will notice the new gauge design for the cluster, a sporty steering wheel with revised paddle shifters, and sport pedals. In the safety front, the A-Spec model will come standard with automatic emergency braking, forward collision warning, lane-keep assist, adaptive cruise control, and lane-departure warning. The new 2019 Acura MDX A-Spec show enter the showroom this summer. The starting price if this model is expected to be around $50,000.